I have to say... I am not a huge meatloaf fan. My hubby loves it so I do try to make it every now and then. I think it is a texture issue with me. I saw this recipe on Facebook and thought the Italian flavors and cheeses might be the perfect added touch. Chris loved it. I enjoyed it too - I especially liked the cheesy crunchy edges! In a small skillet, brown the onion in olive oil until tender, remove from heat. In a large bowl, combine meat, onion, and remaining ingredient,s reserving 3/4 cup of cheese for topping. Using your hands, combine everything very well. Pat mixture into baking dish of your choice. Top with the extra marinara sauce. Bake at 400 degrees for about 45 - 50 minutes. 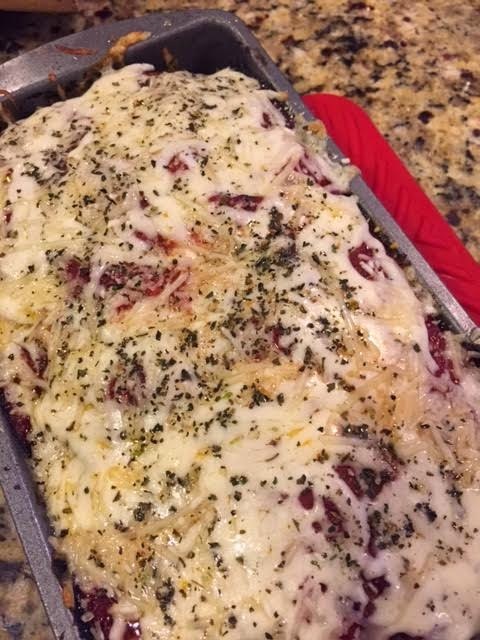 Remove from oven and top with reserved Mozzarella cheese, a sprinkling of Parmesan and a little dried basil. Return to the oven and bake for about 10 more minutes. *Make sure meat isn't pink when serving. Cooking times may vary. 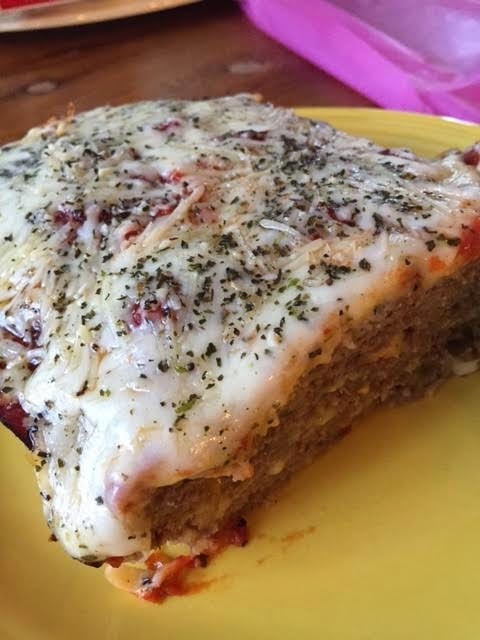 I baked mine in a meatloaf pan that drains the fat - I love it.